Simonton 5500 windows are the high end Reflections Series that is also known as the Prism Platinum model (there may be one of two tiny differences between these windows, but they are for all intensive purposes the same window). In comparison to the Simonton 5300 Series, the Reflections 5500 Series includes a sturdier frame, shadow grooved sash welds and is an all around better looking window. The 5500 Series is essentially the Reflection 5050 window with an upgraded stepped sill, Super 366 glass package, and the Super Spacer. As the flagship Reflection Series, the 5500 comes with all of the custom options, including balance covers, triple pane glass option, woodgrained interior, and two tone finish. It can be ordered in a ton of different styles, including double hungs, casements, bay and bows, horizontal sliders, and a number of different geometric shapes. Consumers can expect to pay $50 to $65 per square foot for the 5500 Series window itself and $65 to $75 per square foot fully installed. Compare the replacement windows cost of the Reflections 5500 to Great Lakes Uniframe windows and Harvey Tribute window cost. The Simonton 5500 Series double hung that is 44" W x 63"H will have an air infiltration rating of .14 scfm/ft2. 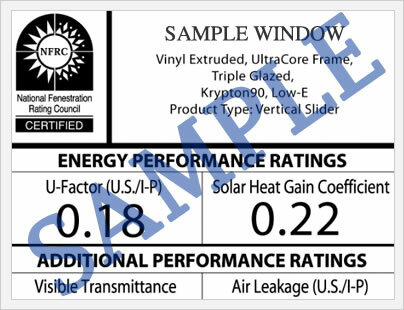 This same double hung with the Low-E 366 glass package that includes argon fills, grids and the Intercept spacer will have a .31 U-factor, 3.23 R-value, .41 VT, .18 SHGC and .99 UV Block (this last measurement is from center of the glass). These performance numbers are pretty run of the mill, there are certainly other window options out there that will deliver better numbers. Upgrading to a better glass package will improve these numbers and give you better energy efficiency. The 5500 Reflections window includes a double lifetime limited warranty on the mainframe (and all vinyl materials), components, screens and hardware. The double lifetime means that if you were to sell your home, the next buyer gets the warranty for their lifetime as well (homeowners must notify the company in writing of the transfer). The glass is covered for 20 years, although the portion covered by the company is at a prorated amount. 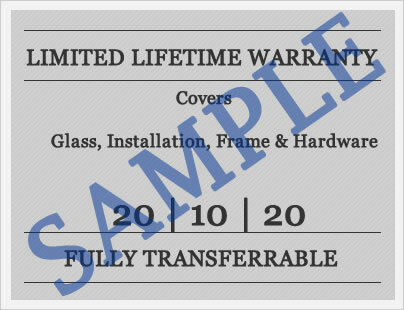 The warranty covers glass breakage (3 years), laminated glass (20 years), interior laminates (double lifetime), and factory applied coatings (10 years). As with all warranties, there are a litany of limitations and exclusions that buyers shoud read prior to purchase. Do you have a question for Jim or John (our site experts) about the Simonton Reflections 5500 Series? Our industry professionals can help you get more info on pricing, upgrades and add ons, installation, contractor pricing, as well as help you sort through the companies you are considering for your next home window project. Want to add your Simonton 5500 windows reviews to the site - post it here and help others get the information they need to make the right choice for their homes.